With the recent drop in temperature over the past week, I think its safe to say that the real Minnesotan winter has arrived. 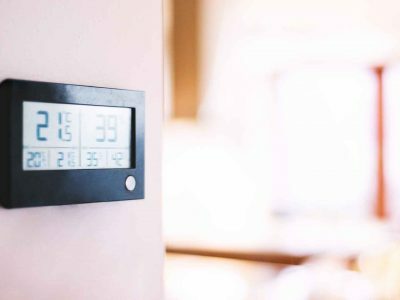 According to our clients, the ones who know our homes the best, here are five essential amenities each home should have when the mercury starts to drop. 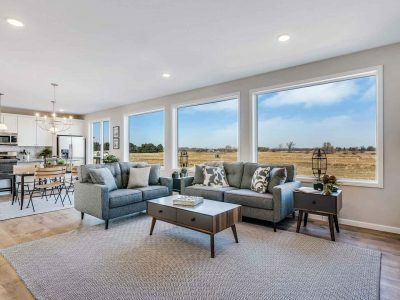 For some examples of how each of these fit into new construction, you can tour any of our model homes in Easton Village each weekend from noon to five. 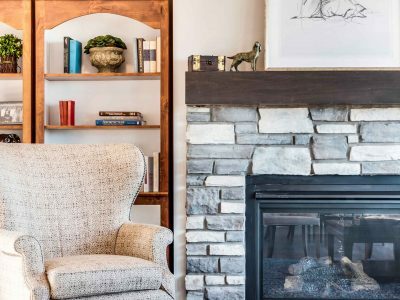 It should come as no surprise that we’ve added a fireplace on this list, it’s the most common amenity asked for in our homes – for good reason. When the weather gets a bit too blustery outside there is nothing better than curling up around the fire and waiting out cold. At Michael Lee Homes we use Heatilator as our preferred brand and we are always impressed by how well it looks and functions. With its unique features like Direct Vent Technology, you can be sure that each Heatilator fireplace will bring you the warmth you’re looking for while conserving energy along the way. What used to be an essential in Midwestern homes not too long ago is making a return as a popular addition to modern kitchens. Especially in winter, when the snow-covered roads turn a simple trip to the grocery store into an arctic expedition, you’ll be glad to have extra space for essentials. 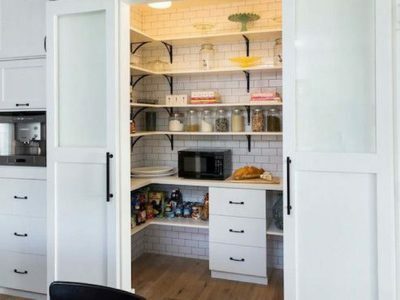 In addition to providing extra room to your kitchen, a pantry can be used to make a design statement as well – our favorite is the barn door look. There’s a reason why we add a mud-room into our homes, and there’s a reason why we cover our floors in low-maintenance laminate and vinyl flooring. In the winter you’re bringing in more water and dirt than any other season. 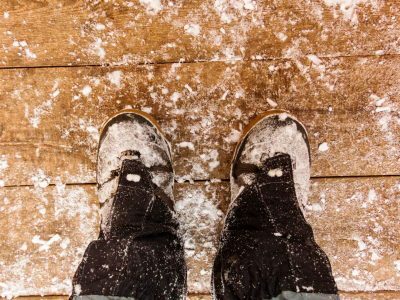 The snow on the bottom of those boots are going to look for a place to go, and with the added protection of our floor choices, we won’t give it a chance. With the proprietary technologies provided by our Mowhawk flooring choices, each Michael Lee Home is not only built to look good, it is built to perform in the times when you need it most. When most people take a tour of a Michael Lee Home they will inevitable pause to take in the kitchen, the great room or the owner’s suite, but seldom do customers take a long stop near the utility room. It’s the least glamorous part of a new home but when the mercury begins to drop, it’s the most important. To keep you and your family warm during those winter months, we install high-quality energy efficient furnaces like that of Lennox and Carrier. It’s easy to get a case of the blues during the cold and dark of winter, and that’s why we turn to Pella Windows to brighten up those dreary days. On the main floor, we choose to install larger windows and sliding doors to help capture that light and bring it into the main living spaces. In addition, these ENERGY STAR® windows provided superior protection which helps keep the heat in and save you money when it counts. Light and warmth, the two things we all need during these winter months and to two things Pella windows provide.